This entry was posted in Hermetic Library anthology and tagged 2014, anthology album, autumnal equinox, December Luna, music on October 10, 2014 by John Griogair Bell. This entry was posted in Hermetic Library anthology and tagged 2014, anthology album, autumnal equinox, music, shams93 on October 9, 2014 by John Griogair Bell. This entry was posted in Hermetic Library anthology and tagged 2014, anthology album, autumnal equinox, music, MVNIHVD on October 8, 2014 by John Griogair Bell. The song is a testament to society and what is going on in the world, especially from a standpoint of urban America. 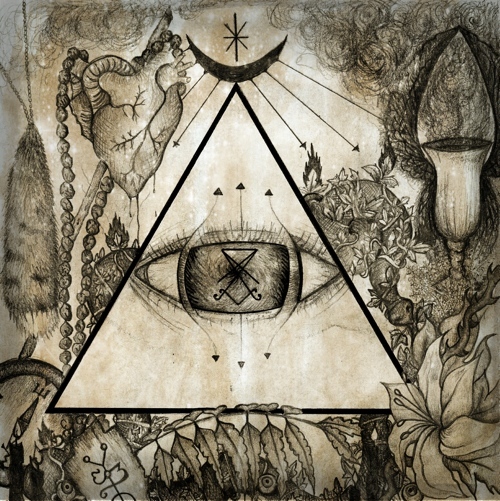 Dying gods ’cause gods are dying we leave in the day where the false gods of mainstream religion are idolized over arcane esoteric gods of the occult. It probably would be easier if we told you what J.Flash doesn’t do, but Flash is an MC, entrepreneur, comic book writer, director, actor, and producer. His journey has been anything but painless. J.Flash started writing poetry at the age of 6 and began to turn those poems into narrative rhymes with thought provoking lyrics. After his first love with football didn’t pan out, J.Flash focused all of his energy into his music. In 2011, J.Flash made the inaugural Hulkshare “Featured Artist” list and was described as a “lyricist with a boom bap conversational flow”. J.Flash will be making the documentary hip hop film “Art of Rhyme 2.0” alongside Mos Def, Black Thought, KRS-ONE, and others. Flash’s first feature film “Boundary of Love” will be appearing on the festival circuit in 2013 as well as his comic “Diaries of Invasion”. J.Flash is ready to take the game by storm and will stop at nothing until he has done just that. This entry was posted in Hermetic Library anthology and tagged 2014, anthology album, autumnal equinox, J Flash, music on October 7, 2014 by John Griogair Bell. Somnolent is the musical moniker for Aaron Piccirillo, a musician and writer from Connecticut in the United States. He holds a master’s degree from the University of Manchester in England, where he completed an interdisciplinary program entitled “Constructions of the Sacred, the Holy, and the Supernatural.” He also holds a B.A. in literature from the State University of New York at Purchase, and has been active in musical composition, recording, and performance for over a decade. Aaron has recently had an article published in Clavis Journal’s second volume, as well as the first edition of Aeon Sophia Press’s forthcoming journal, The Thirteenth Path. This entry was posted in Hermetic Library anthology and tagged 2014, anthology album, autumnal equinox, music, Somnolent on October 6, 2014 by John Griogair Bell. “Glad that I Live Am I” is a traditional hymn sung in many English childrens’ schools. The words were written by Lizette W. Reese in 1909. Elizabeth S. has always been fond of the song and its transformative lyrics and wished to do her own take on it. … being R Loftiss and Elizabeth S.
Oklahoma’s R Loftiss (Bells, Whistles, Bows, Voices, Treatments), has been making experimental starscapes using the dust and ashes of Earth since 2001 and creating from them albums of otherworldly loveliness as The Gray Field Recordings. Elizabeth S (Banjo, Voices) has worked with the influential English pioneering post punk duo of Eyeless In Gaza since 1993. 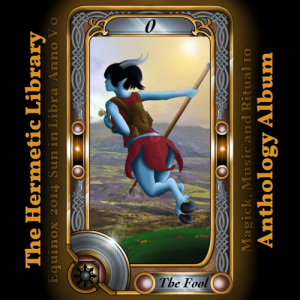 This entry was posted in Hermetic Library anthology and tagged 2014, anthology album, autumnal equinox, Karyæ, music on October 5, 2014 by John Griogair Bell. “Sketch of an Ancestral Dream” was constructed from recordings of guided improvisations dealing with the transmission of ancient, ancestral knowledge through dream and semi-conscious states. Instrumentation includes voice, rebab, frame drum and Javanese gamelan. Dedicated to the creation and dissemination of unconventional musical hybrids and originally formed in 1988, frogtoboggan was not manifested as self until 1992. Since this time, experiments have focused on channeling subconscious variables and furthering their realization by manifesting signals in the corporeal universe. The frogtoboggan musical apparatus typically, but not exclusively, produces handmade, custom releases, including lathe-cut records in editions of 23 most of which are re-issued as digital versions at a later date. Other projects which the frogtoboggan has been responsible for perpetuating or participating within are Cloudland, Venerable Showers of Beauty, Gamelan Auxiliary Unguent, and Gamelan Spontificus. This entry was posted in Hermetic Library anthology and tagged 2014, anthology album, autumnal equinox, Eyvind Kang, frogtoboggan, Jessika Kenney, music on October 4, 2014 by John Griogair Bell. This entry was posted in Hermetic Library anthology and tagged 2014, anthology album, autumnal equinox, December Luna, music on October 3, 2014 by John Griogair Bell. This entry was posted in Hermetic Library anthology and tagged 2014, anthology album, autumnal equinox, music, OrosKhaos on October 2, 2014 by John Griogair Bell. This entry was posted in Hermetic Library anthology and tagged 2014, anthology album, Audiothrillseeker, autumnal equinox, Dave Migman, music on October 1, 2014 by John Griogair Bell.